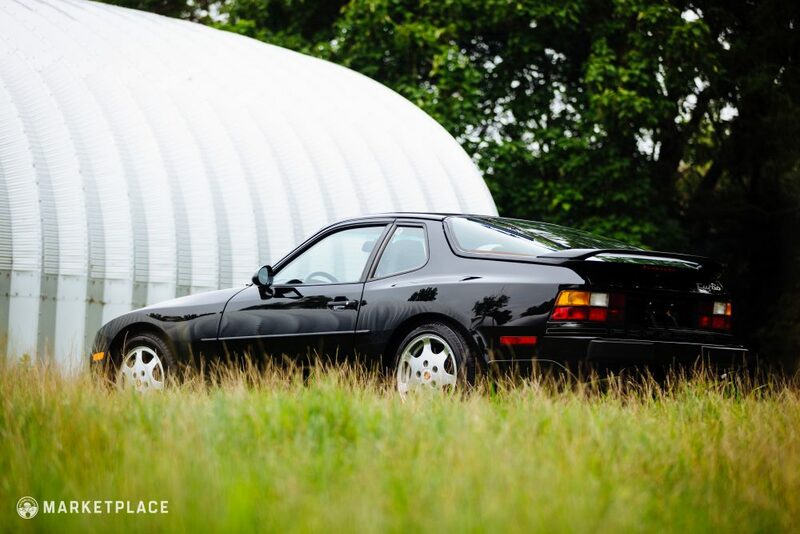 This 1989 Porsche 944 Turbo with a little over 20k original miles is an opportunity to experience what MotorWeek once described as “the best-balanced high-performance car we’ve ever tested.” Babied by its two owners, this Turbo still wears its original Satin Black Metallic which presents in near-showroom quality condition. 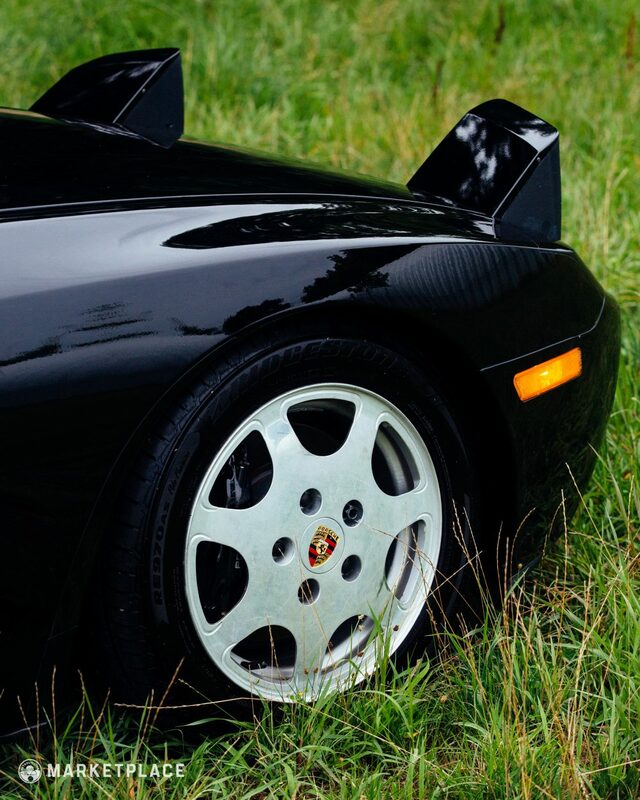 Though highly original elsewhere, the car does wear a rear spoiler and mirrors from a 968 for a bit of subtle sportiness (which can be easily reverted back to stock). 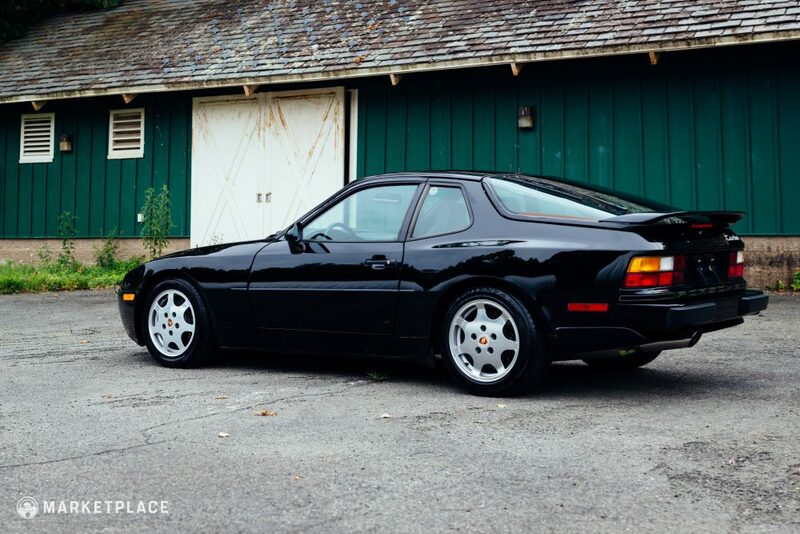 Recently having completed a major service, wearing brand-new Bridgestone Potenzas, and complete with paperwork and receipts from new, this 944 Turbo is a turn-key example destined for an ’80s enthusiast. 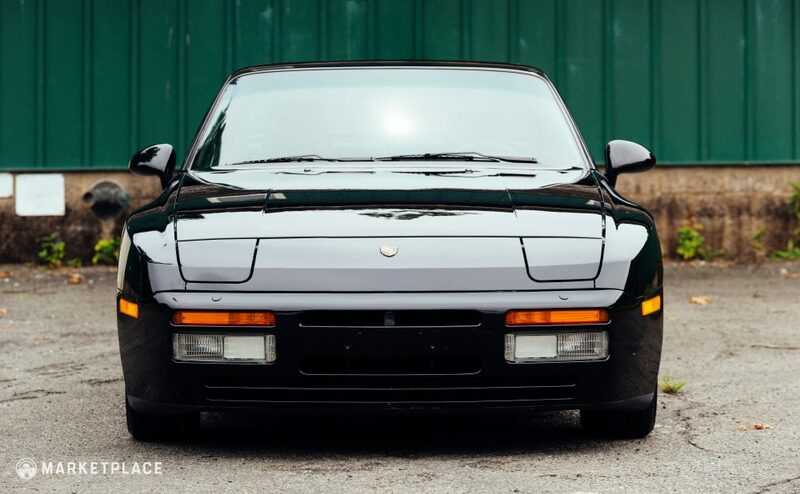 Body: Having lived a pampered life, this 944’s body is in perfect condition with no signs of damage to be found. The panels are all original and display excellent fitment and gaps throughout. No structural or surface rust is present. Paint: In a sea of India Red and Alpine White, the original special-option Satin Black Metallic paint shines brilliantly in showroom condition. 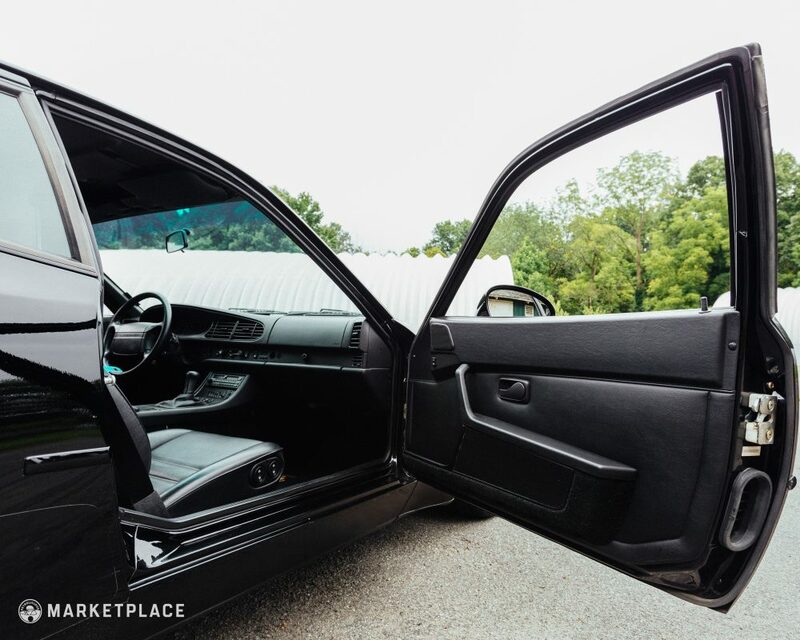 Trim, & Glass: All black rubber trim is supple and in excellent condition with no streaking or dryness. The glass displays in perfect condition all around the cabin with no etching, cracks, or damage to note. Wheels: The original 16” Club Sport design wheels present in very nice condition with only minor curb rash on one wheel. Brand new Bridgestone Potenzas have also been fitted, the perfect choice for this corner chaser. 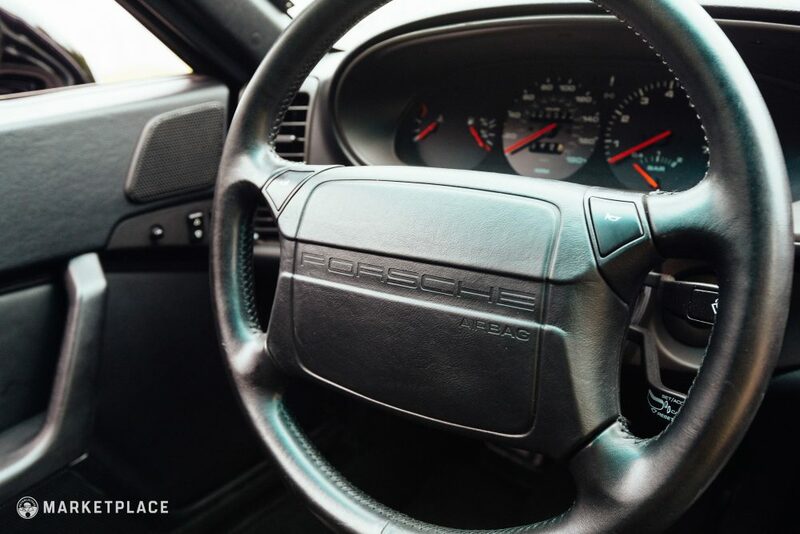 Steering Wheel: The black leatherette-wrapped steering wheel is in excellent condition, showing little signs of wear, stitching displacement, or fading. 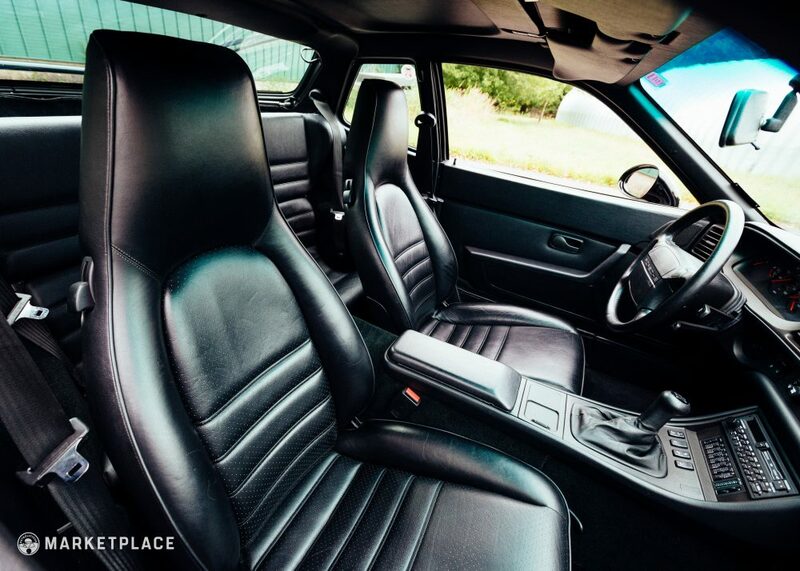 It is also equipped with an airbag, as well as on the passenger side, a feature Porsche made standard in 1987. 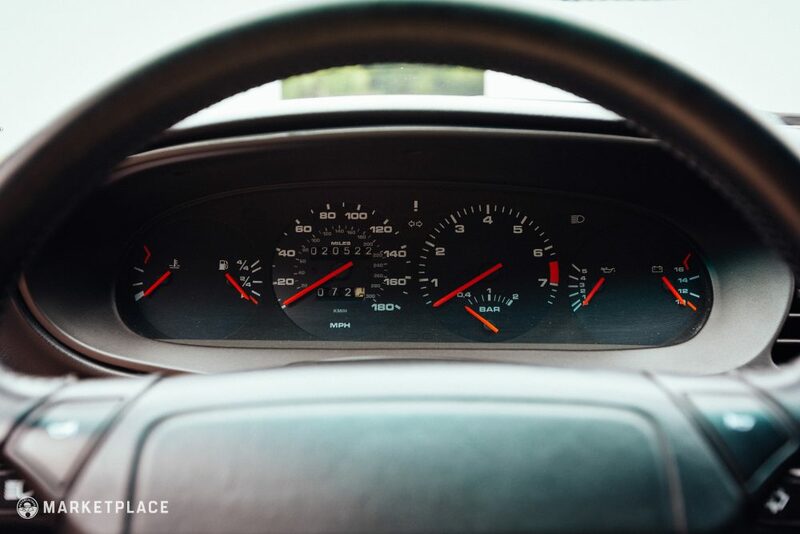 Dashboard & Instrumentation: The dashboard is in perfect condition with no cracks, shrinkage, or fading to note. 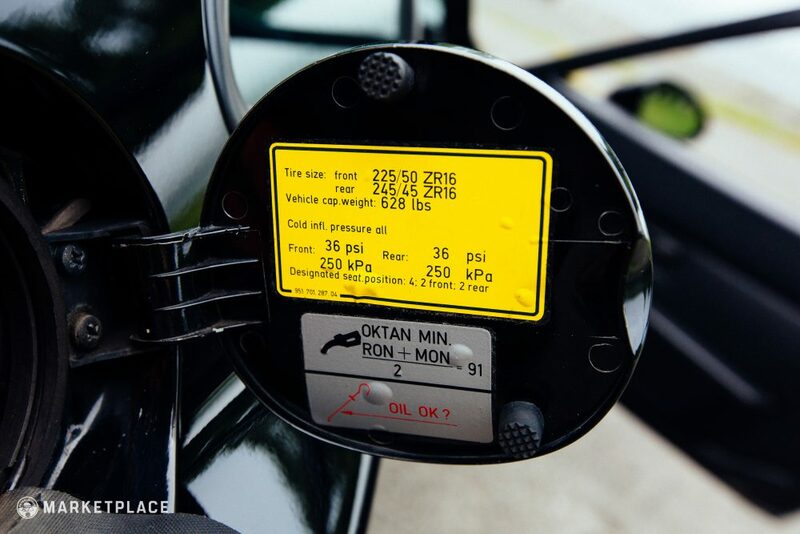 The gauges, and all subsequent instrumentation, read correctly and are free from any yellowing or damage. 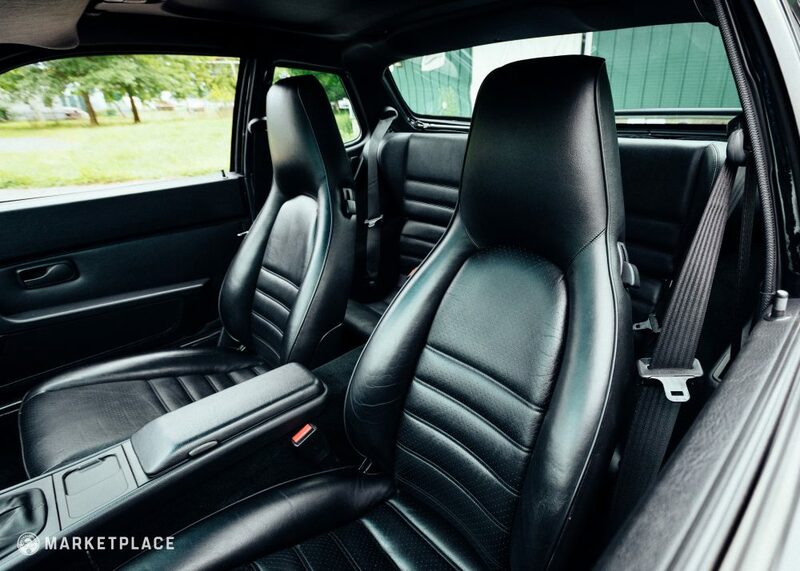 Seats, Trim, & Carpet: The black leatherette seats are in perfect condition with no evidence of cracks, tears, or stitch lifting. All trim is present and in excellent condition, as well as the black carpet showing no signs of staining or wear. 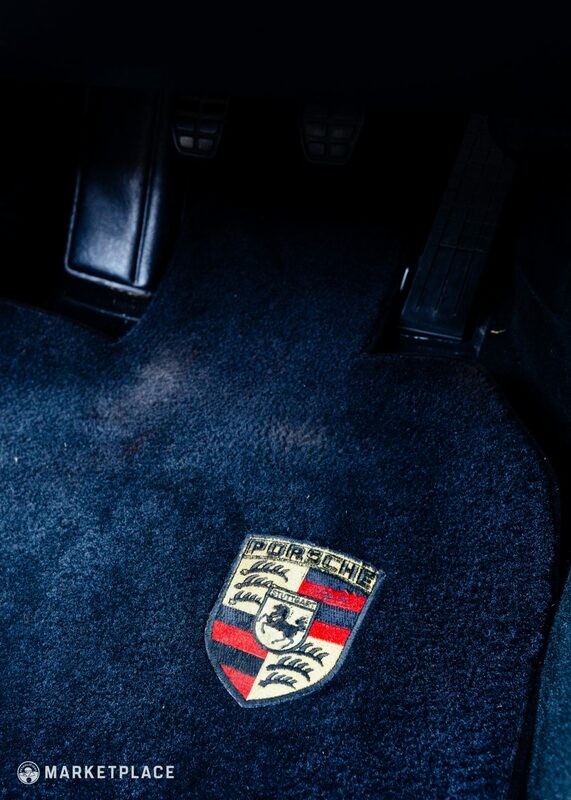 The floor mats are not original, but the original set accompanies the sale. 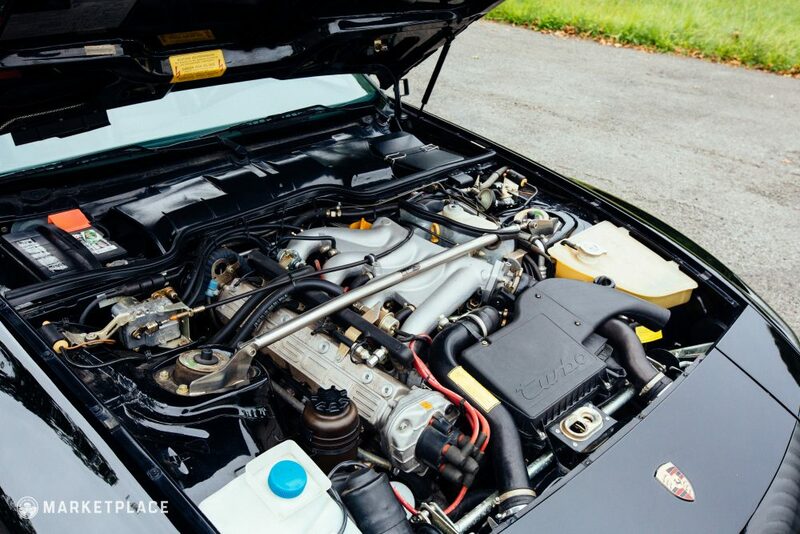 ENGINE: Before there was the 944, there was the 924, and with that car came the hordes of enthusiasts begging on Porsche’s doorstep for more power. 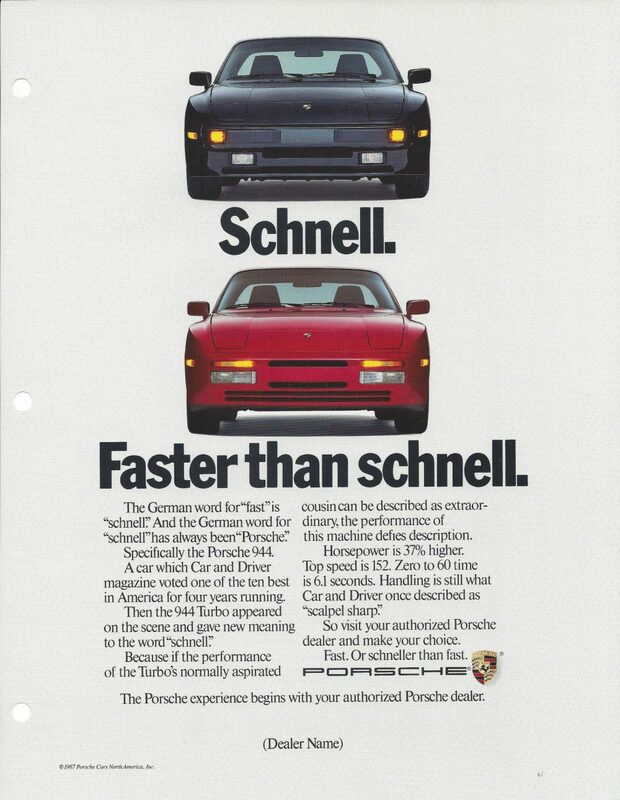 With the introduction of the 944 into the line-up, Porsche once again reassured that they love us and want us to have fun even if they put the motor somewhere else, so they added things like the fastest production four-cylinder of its time, and of course, a turbocharger. 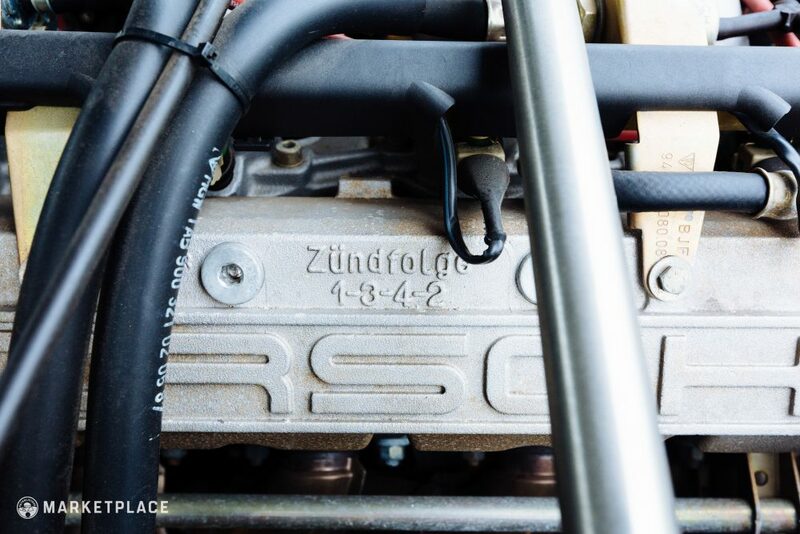 As for this particular example, the all-original, matching numbers 2.5L inline-four is controlled by a Bosch Motronic engine management and fuel injection system, and is in excellent working order. The engine has been fastidiously maintained by the two previous owners. For peace of mind, the required cam belt, tensioner, and water pump service has already been completed as of August 2017. Compression figures and maintenance records available by request. 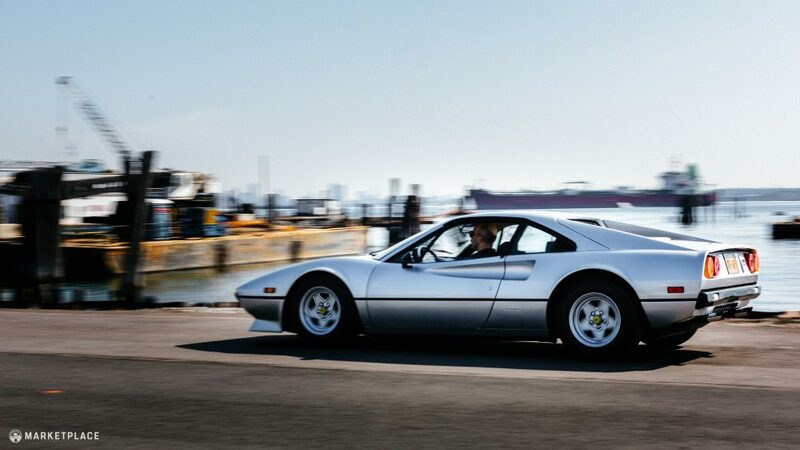 The Drive: Capable of giving a Testarossa a run for its money in its day, the motor had become a powerhouse putting down 247 HP and a punchy 258lb-ft of torque. 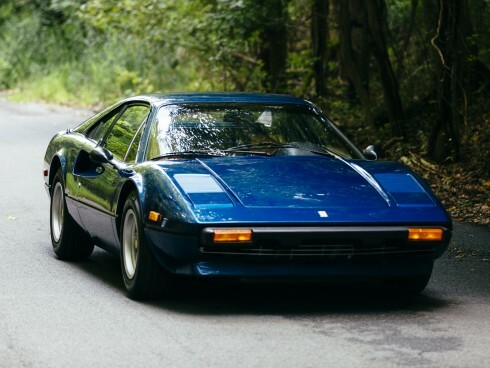 It also earned a reputation for reliability, demonstrated in both endurance racing and street form. The engine is unusually smooth across the rev range, thanks to a pair of balancing shafts from Mitsubishi taming the harsher aspects inherent to inline-fours. TRANSMISSION: The matching numbers five-speed gearbox features upgrades from the previous year’s “Turbo S,” including a shorter final drive, external oil cooler, and 40% locking differential. This example’s behavior befits its low mileage and well-maintained condition, shifting smoothly and precisely with no concerns. 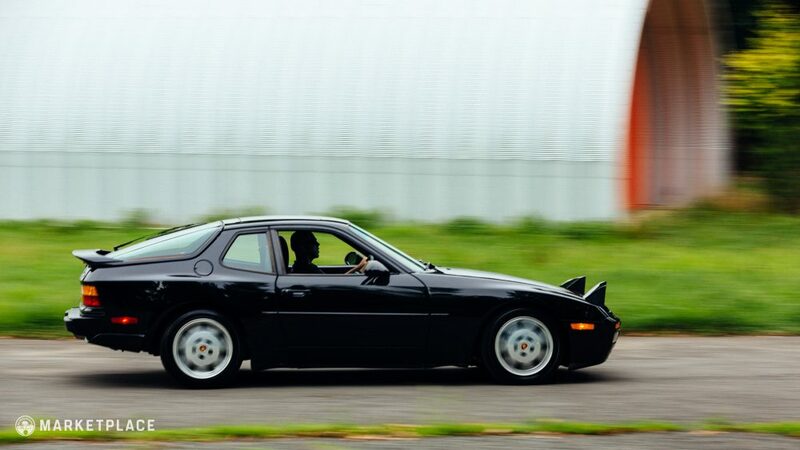 The Drive: Contributing heavily to the 944’s stellar reputation for balance and a low polar moment of inertia was the five-speed transaxle gearbox. 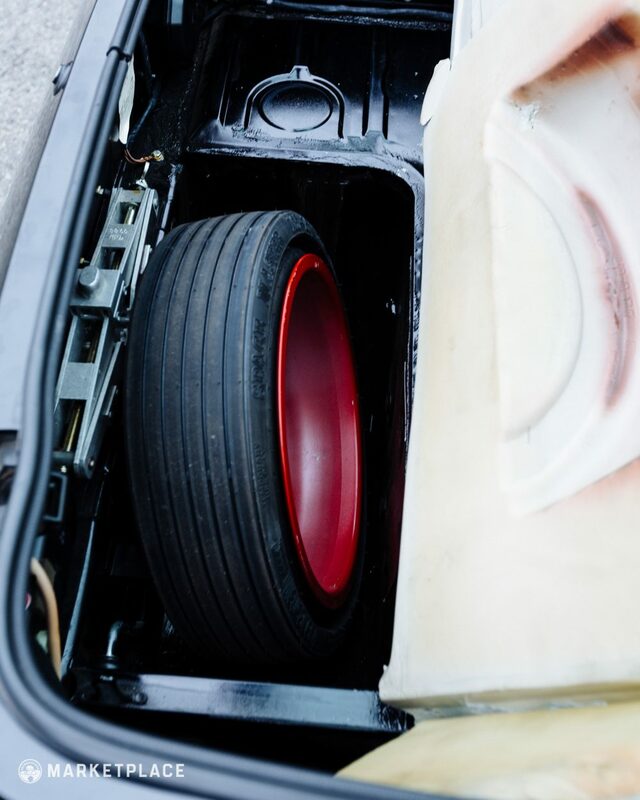 Fed by a torque tube, this unit was well-geared for a balance of backroad blasts and motorway cruising. The developments from the previous year contributed to increased sportiness and track-ability. This low mileage, pristine example is almost entirely original, from the paint to the panels to the power plant. 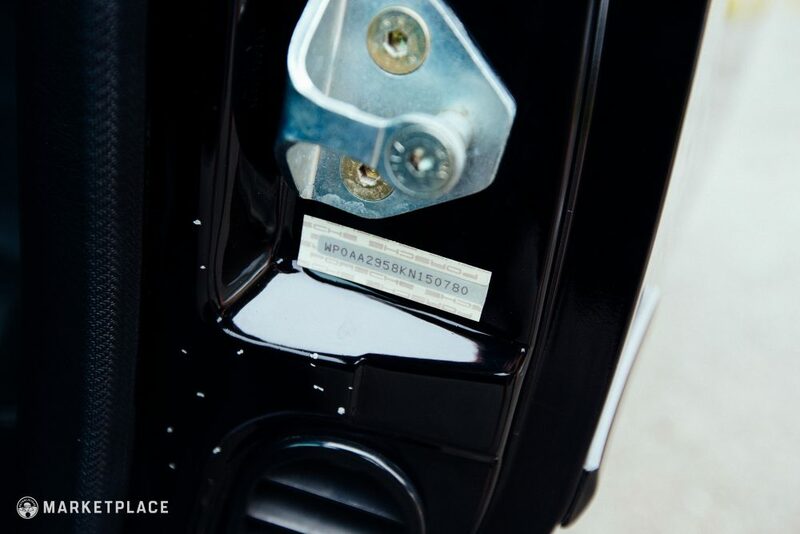 In addition to upgrades to the transmission and diff upgrades, the only subtle modifications to note are the addition of the rear spoiler and mirrors both belonging to a 968. 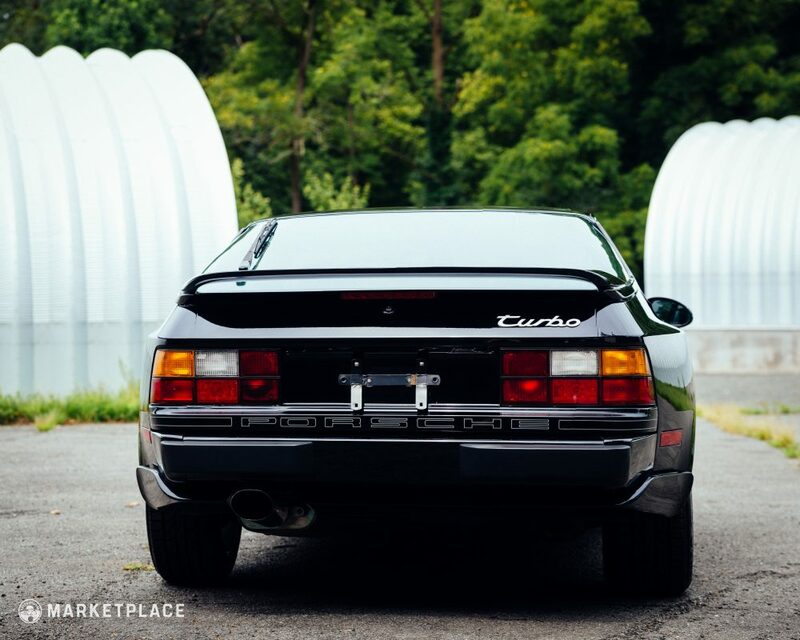 With a total of two owners over this 944’s history, it began its life in Pennsylvania at Holbert Motors, one of the first Porsche dealerships in the country started by the late Le Mans Porsche works driver, Bob Holbert. 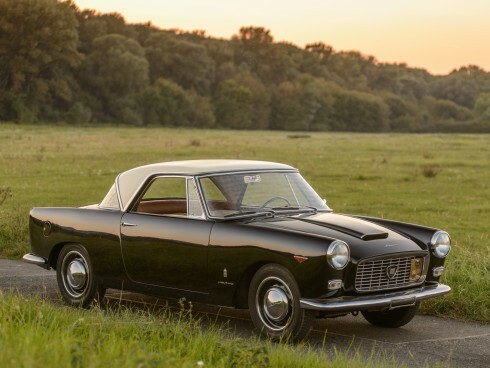 Purchased brand-new in 1989, the first owner enjoyed it for eight years before selling it to a private collector in Alaska where it joined the ranks of other European collectibles stashed in a climate-controlled airplane hangar. 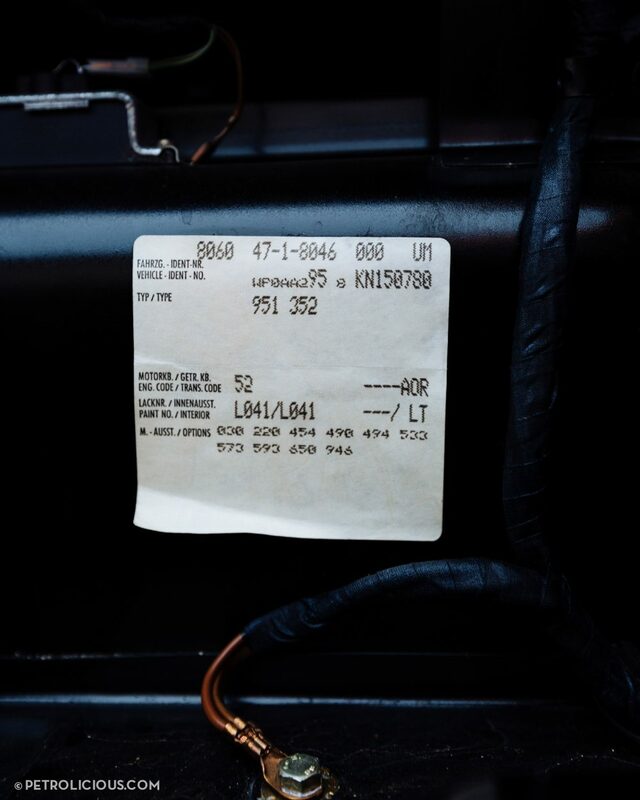 The car comes complete with the original owner’s manual, build sheet, and maintenance receipts. 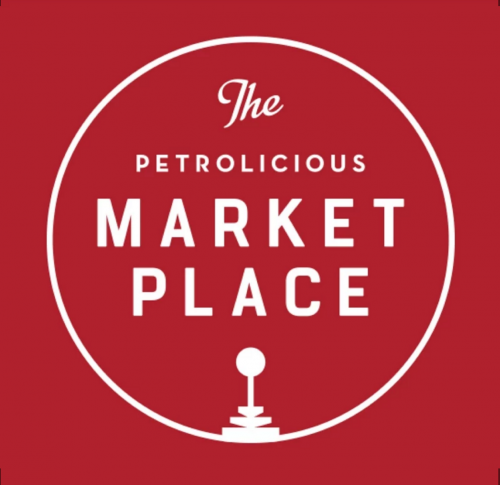 1989 Porsche 944 Turbo – Gooding & Co. – Pebble Beach 2018 – $72,600 – A true time capsule in mint condition with only 8,400 miles since new, this Guards red over black leather example is almost too perfect to drive. The price it took at auction reflects this condition and desirable final year specification. 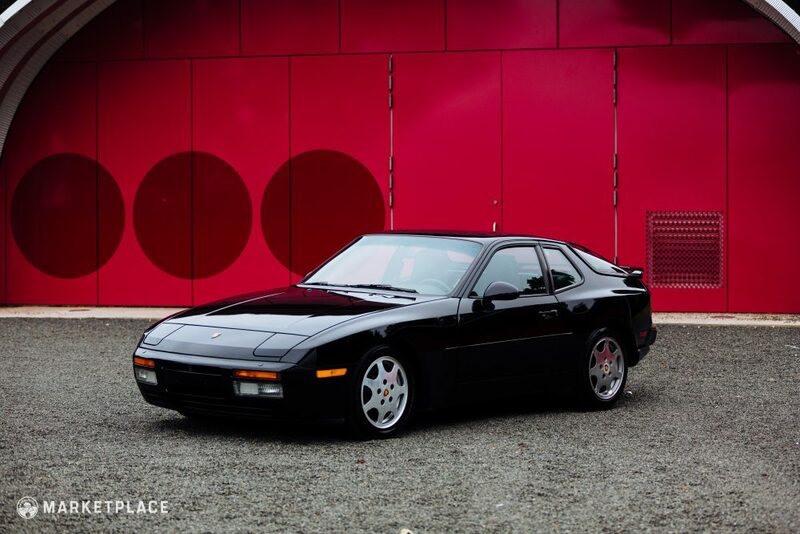 1988 Porsche 944 Turbo S – RM Sotheby’s – Amelia Island 2017 – $46,200 – With 39k original miles and the unique color combo of Maraschino Red Metallic over grey, this Turbo S commanded a nice price at Amelia Island last year reflective of its status as an immaculately preserved collectible. 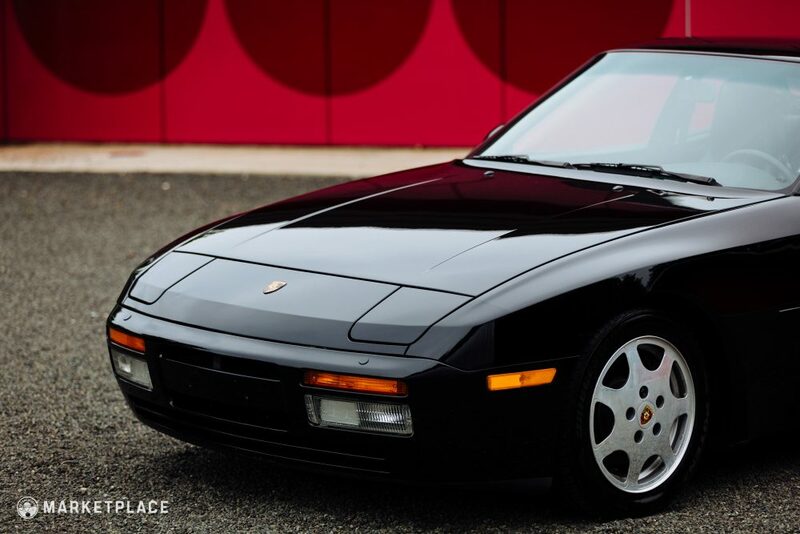 1986 Porsche 944 Non-Turbo – Gooding & Co. – Amelia Island 2018 – $41,800 – Another Guards Red over black example offered at Amelia Island this year recorded a strong price, despite being the base, non-turbo version. But with just over 5,100 miles and being museum kept for most of its life, this seems quite appropriate. 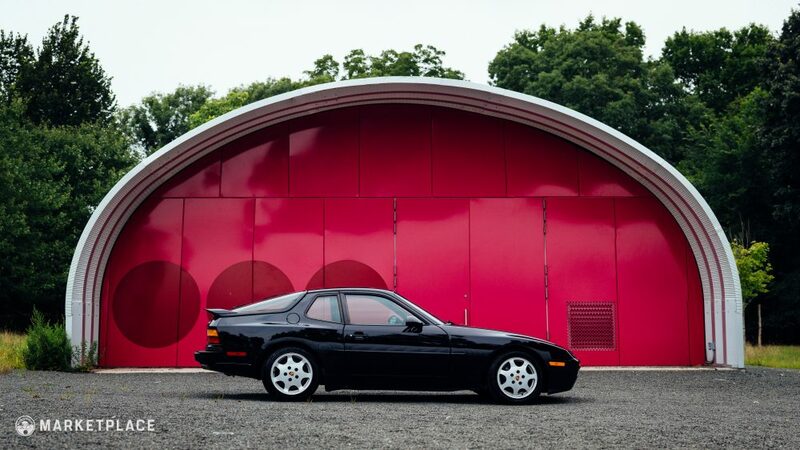 1989 Porsche 944 Turbo – Bring A Trailer – April 2018 – $37,000 – This 46k mile Guards Red over black example presents in nice, mostly original condition with the exception of a few paint chips found on the hood and swapped BBS wheels instead of the more desirable Club Sports. Practical Porsche: If you’re anything like us, having a Saturday morning track car is great, but we want to wake up and use it on Sunday too. 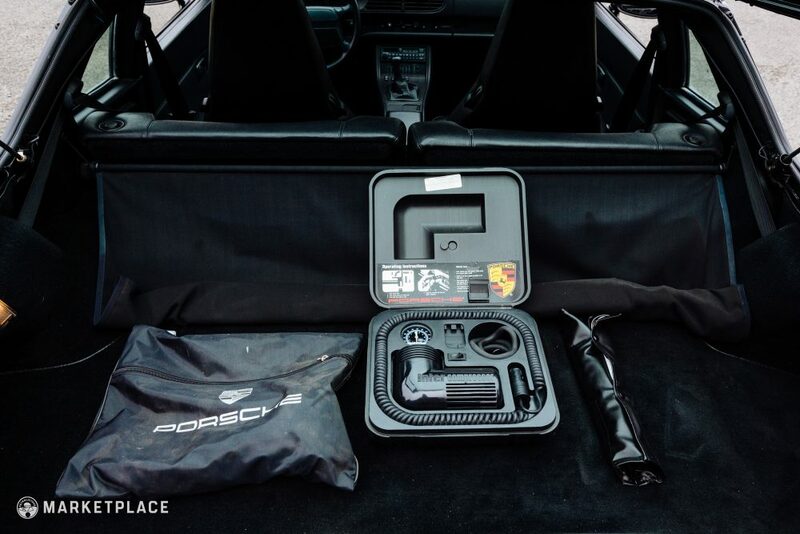 With a well behaved, quiet engine and enough room in the back to fit an entire bicycle, you can enjoy your weekend, whatever your activities may be, with your 944 by your side. Mini Testarossa: But don’t let the practicality of this car fool you into thinking it’s any sort of slouch. 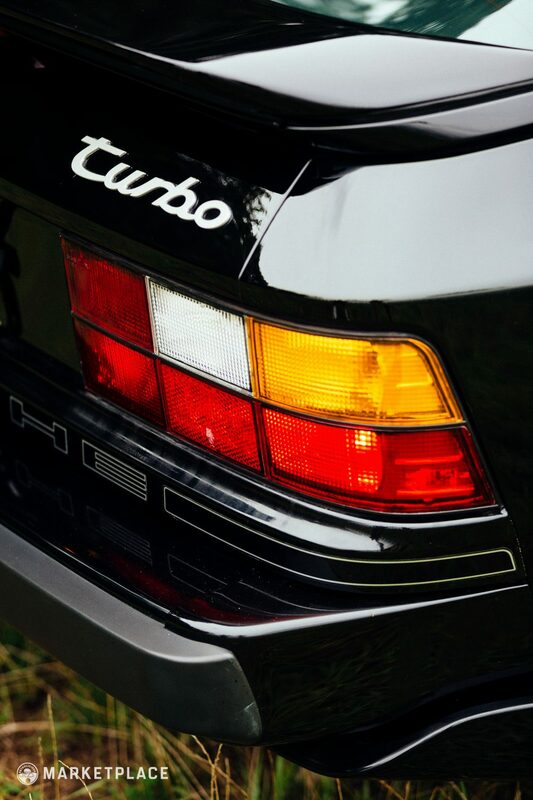 With a 0-60 time of just 5.5 seconds and a top speed of 162mph, the 944 turbo is often hailed as the forgotten supercar of its class. If you want affordable performance in your classic, look no further. 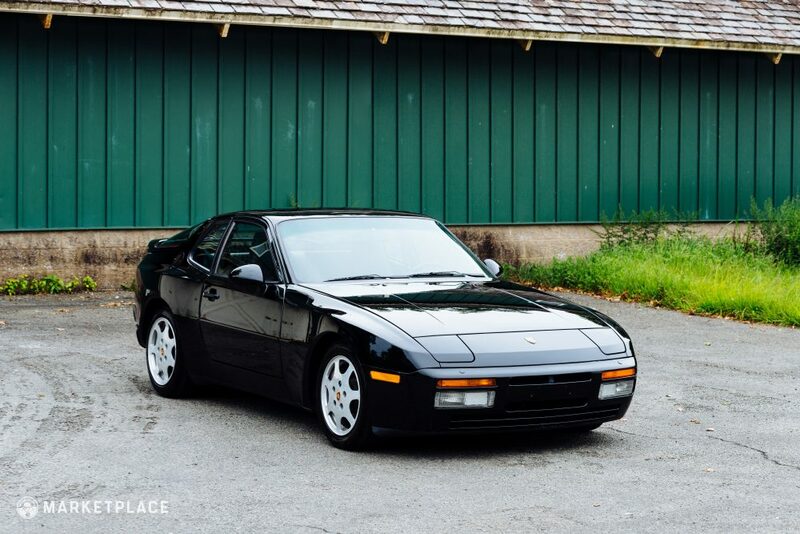 Who needs a Testarossa when you have a 944 Turbo? 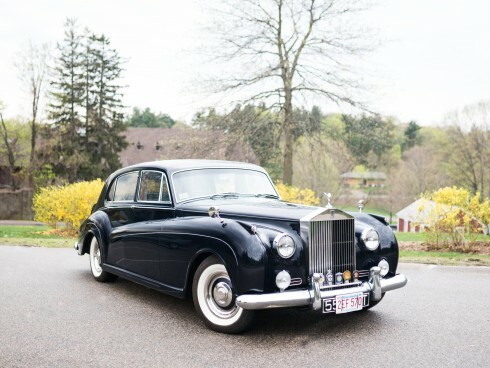 Originality: With just two owners having thoughtfully taken care of this car over the years, it is documented, low mileage, and just about as original as you can get. Everything that’s not is reversible. 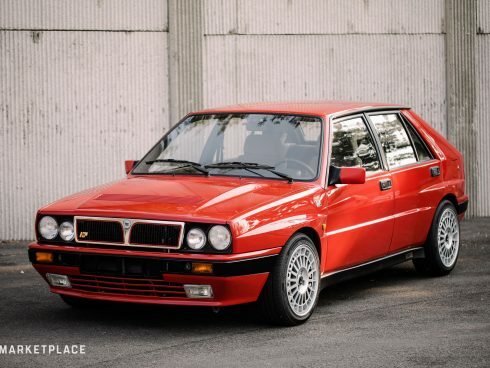 This car is for sale by Galileo Tignini of European Auto Gallery in Staten Island, New York. 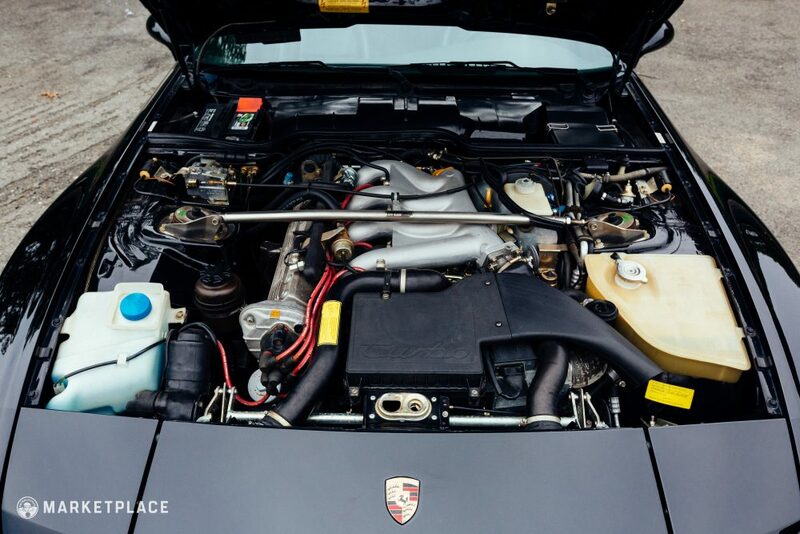 While a front-engined arrangement may be sacrilegious to those that see the 911 as the ultimate and only Porsche, those that frequent the racetrack may know a different experience. In this context the 944 offered an approachable and capable machine driven by amateurs, gentlemen racers, and professionals alike. 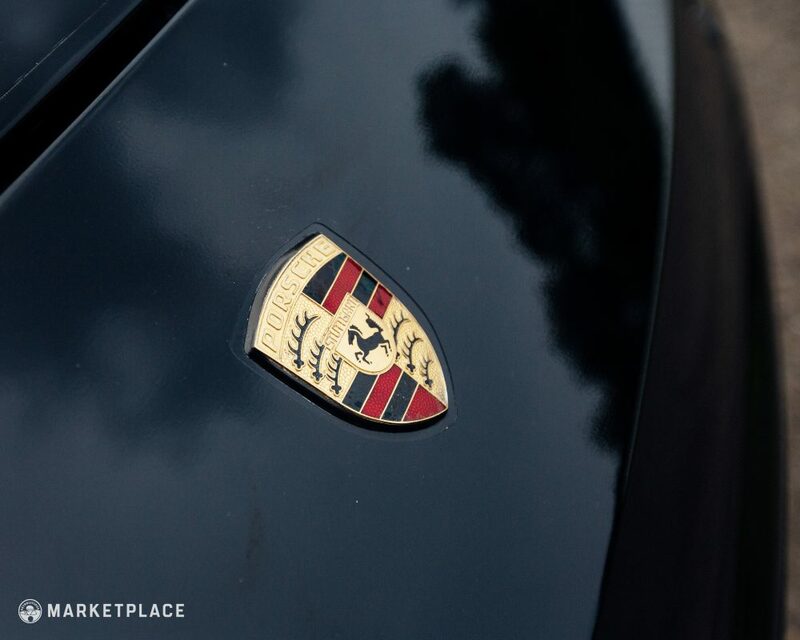 Its pedigree includes effectively debuting in competition under the somewhat misleading title “924 GTP” at Le Mans in 1981, resulting in a 7th-place finish and a permanent place of honor in the Porsche museum. 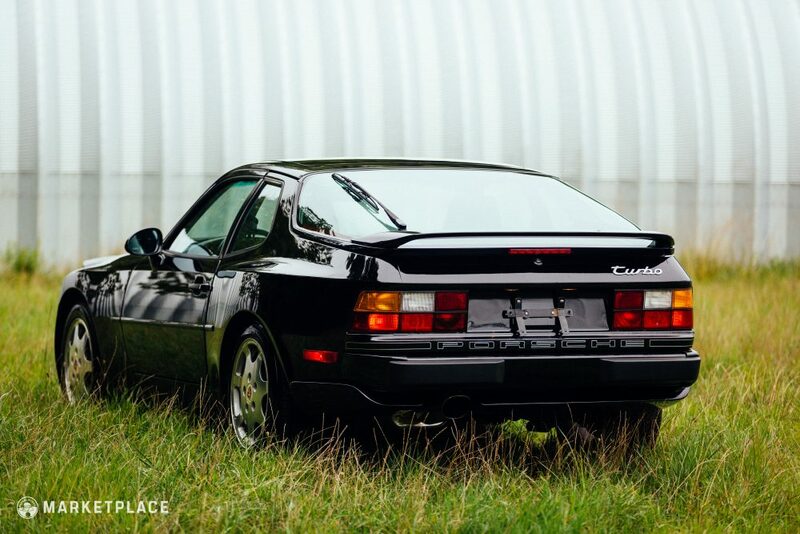 While the previous year’s competitors were turbocharged developments of the legacy 924 Carrera GTR, the 1981 car was essentially a prototype with 944 running gears in the 924 bodyshell. 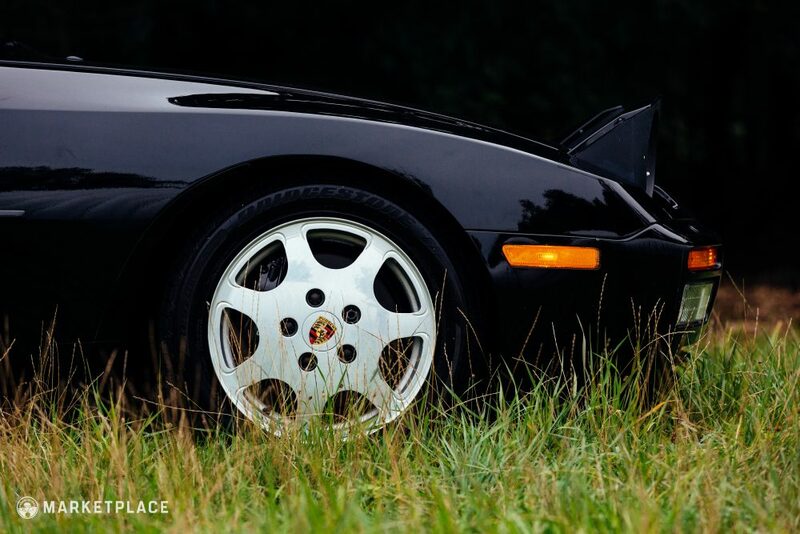 This potent combination carried forward the fuel-efficient nature of the 1980 car with smoother-running drivetrain developments of the 944, resulting in a car that spent the least time in the pits of any competitor that year. 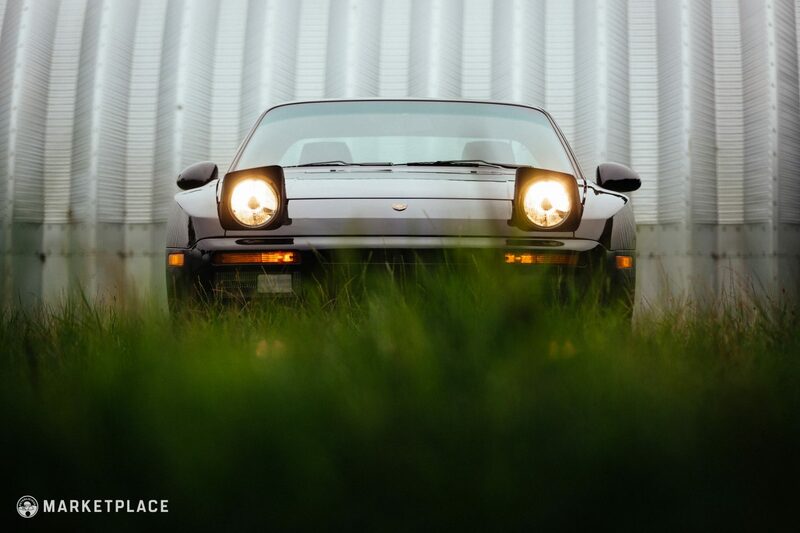 The road car was introduced as a 1982 model and quickly made its way into club racing with Porsche Club of America, as well as its own NASA spec series that still enjoys high levels of participation to this day. Not content being left out, Porsche themselves decided to get in on the fun with a Pro-Am series known as the 944 Turbo Cup. This international, televised racing series was held in the US, Canada, France, Germany, and South Africa. 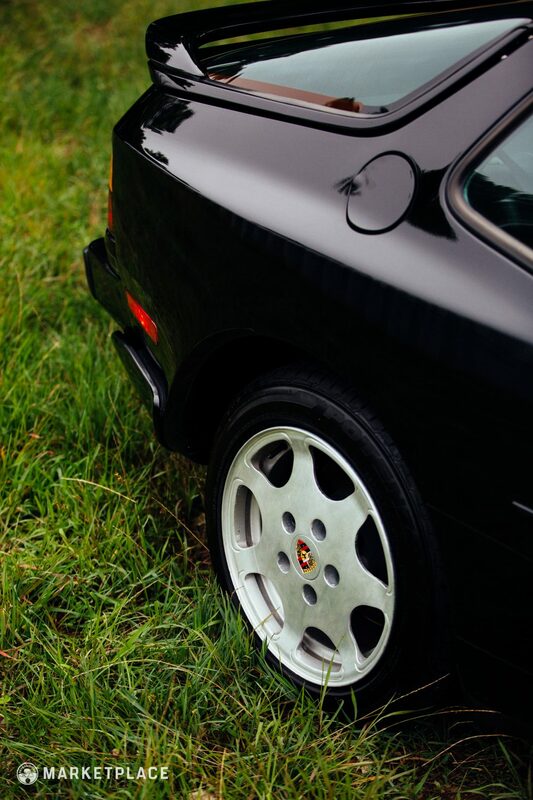 Cars for this series were developed from the standard 944 Turbo, which was itself a significant evolution and growth in capabilities from the base 944 in almost every aspect. 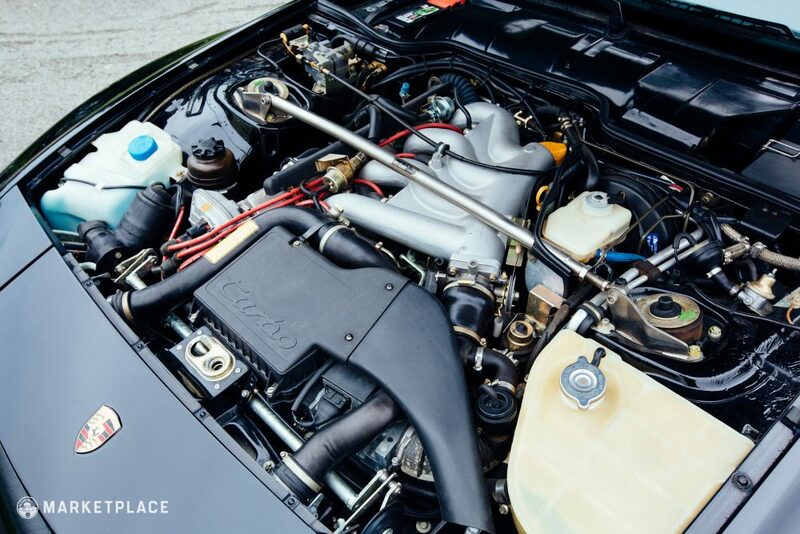 The most obvious development of the 944 turbo is the addition of a turbocharger and intercooler setup, paired with an engine featuring dozens of changes to contend with the increased forces and additional cooling requirements, backed by a strengthened transmission. 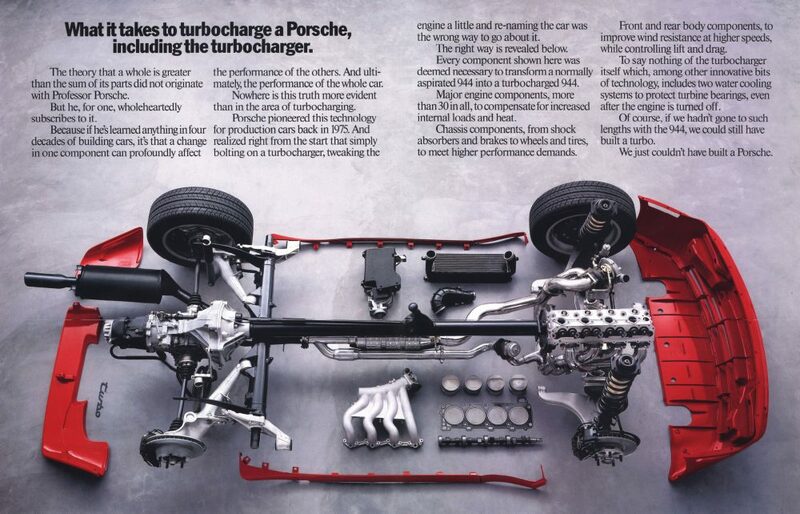 Porsche being Porsche, they added control in equal measure with Brembo brakes lifted from the contemporary 911, larger wheels, and uprated progressive springs. 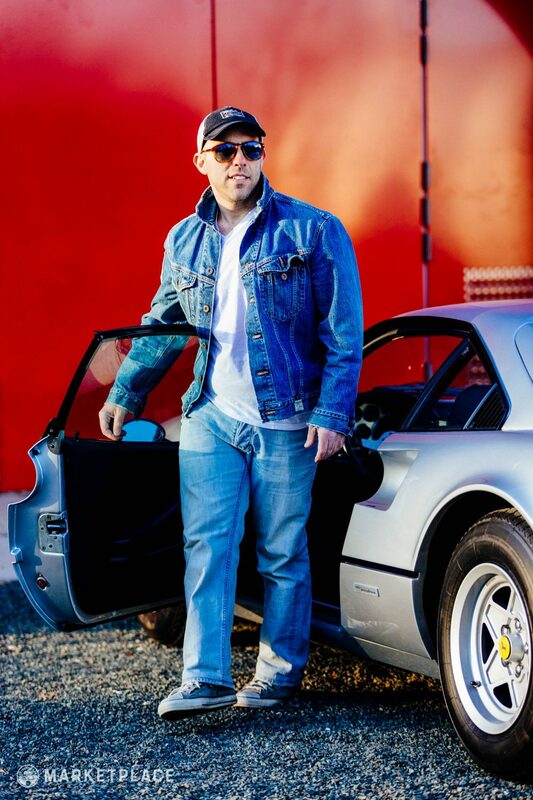 All these changes came together to form one of the most capable performance packages of the day, not only standing head and shoulders over the base 944 it was developed from, but into an beast capable of keeping pace with supercars. 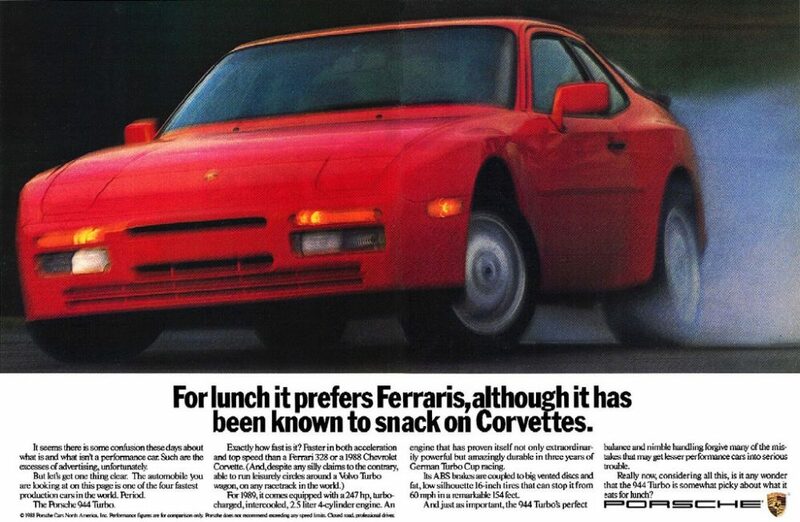 To become the Cup model, the 944 turbo was further tweaked by Weissach in all the best ways, gaining a roll cage, chassis reinforcements, adding lightness (by removing 600lbs! ), and an uprated engine with increased boost. Needless to say, it made for exciting racing for both drivers and spectators. Pedigree indeed. 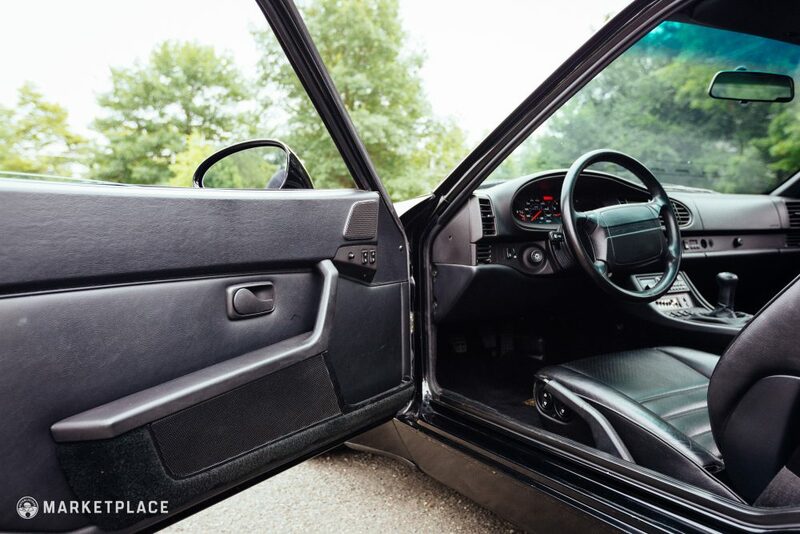 The 924, as Porsche’s first attempt at an FR platform, was a car whose development was to put it nicely, “challenging.” It was criticized by many for sharing development with VW/Audi, particularly the engine noted to be “taken from a van.” Despite this, it still had a small contingent of fans who delighted in its balance and dynamics. 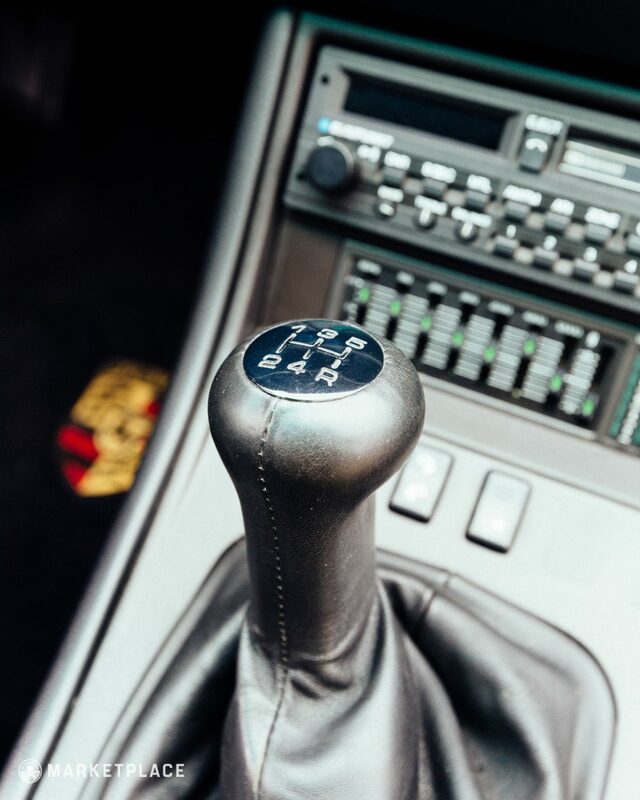 Porsche remained committed to the 924, and from the standard model Porsche turned the dial from daily to dramatic when they created the largely underrated 924 Carrera GT, demonstrating the Stuttgart’s wizards’ willingness to develop the format for both road and track. 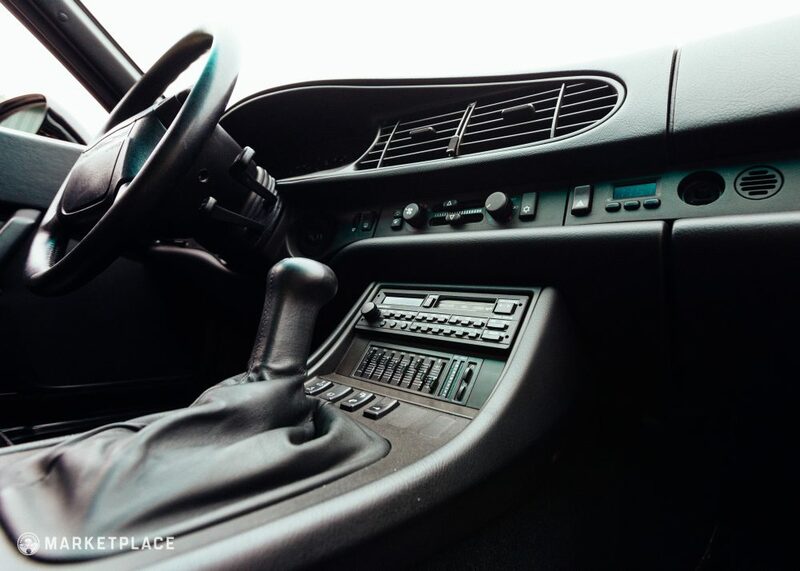 In 1982, the original concept of a front-engine driving a transaxle finally became the mature and capable 944. 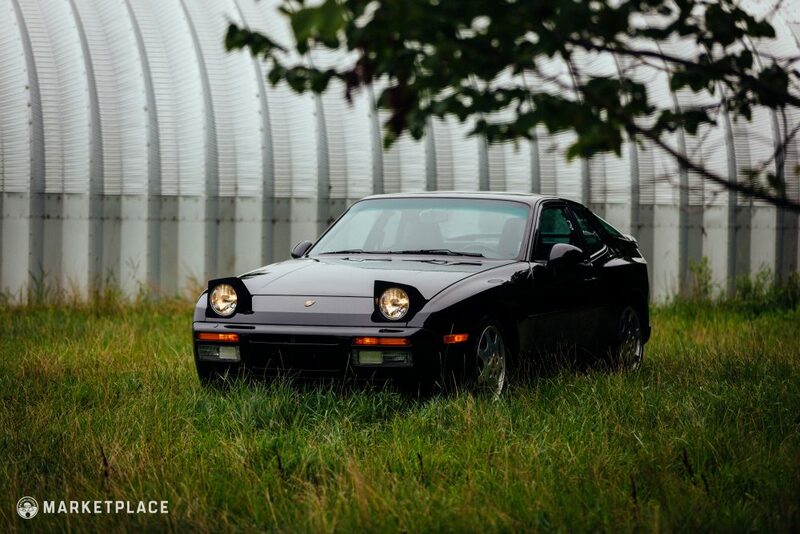 The 944 carried forward many of the 924’s most attractive aspects, namely its long elegant hood line, muscular fender flares, 2+2 seating format, and practical hatchback form. 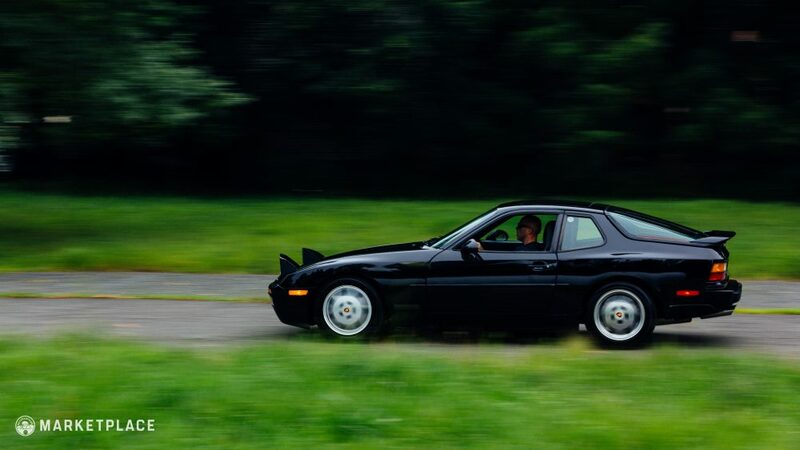 Furthermore, the 944 cured many of the ailments that the 924 suffered from, from being choked on power due to emission controls to being compromised due to its necessary utilization of the VW parts bin. 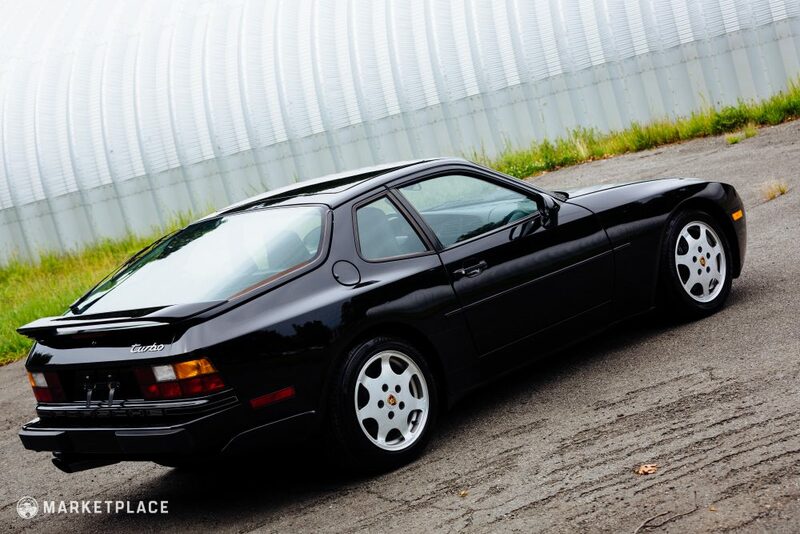 With these restrictions lifted, the 944 was able to shine, the turbo variant in particular.